The Paramount's Wonder Park is ready to open their gates with a brand new feature animated film with animations created entirely in Spain. Below a new and full trailer. 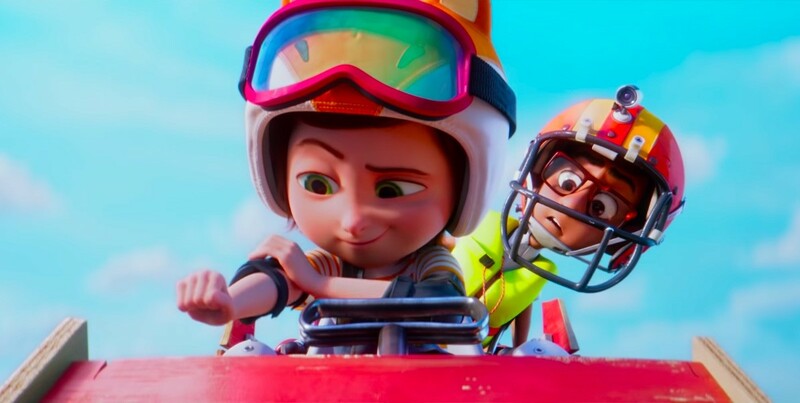 Produced by Paramount Animation and Nickelodeon Movies, the film is animated by spanish Ilion Animation Studios, directed by David Feiss (Cow and Chicken) and written by Josh Appelbaum and André Nemec (author of the Teenage Mutant Ninja Turtles live action films). The main character of the story is the young June, a girl full of imagination that one day gets lost in the forest where she finds an abandoned Park. Together with the animals that live there, they will have the difficult task of ensuring that all children return to dreaming and imagining to give new life to the park. A classic family comedy in theaters in US on March 15, in France on April 3, in UK on April 8, in the rest of Europe on April 11.